Thank you! Your request has been received, and someone will be in touch with you shortly. 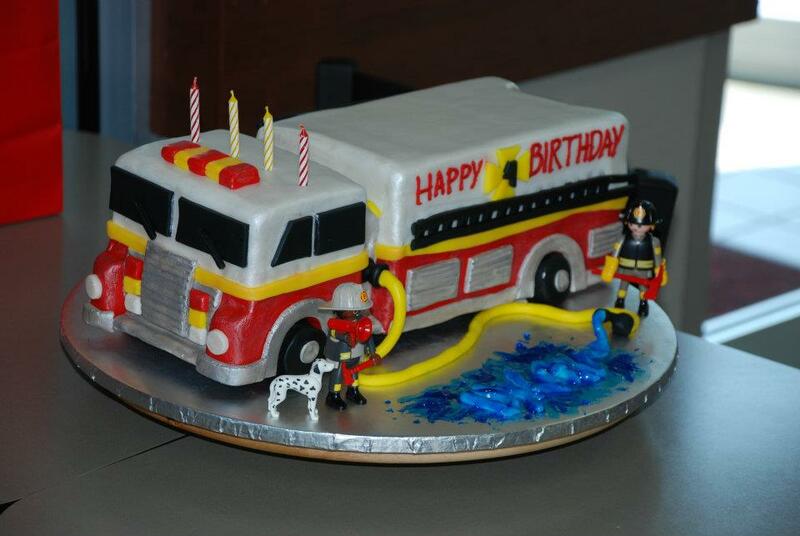 Have a Fire Station Birthday Party! Let PVFC host your child's next birthday party! Our fire station is available on most Sundays to accommodate birthday parties for children of all ages. A $250 donation (tax-deductible) is requested for the use of the fire station. Fill out the form located below to get more information and reserve your party now! All party guests get a chance to take a ride on a real fire truck. Blow the horn, crank the siren, and see what it's like to respond to an emergency. Watch a firefighter get dressed in full protective gear, and see what it's like to wear all that heavy equipment. PVFC will provide a dedicated space, tables, and chairs for your refreshments or entertainment. Guests will get to see all of the apparatus in the fire station, as well as where the firefighters eat, sleep, and hang out when they're not on calls. A firefighter will discuss fire and home safety, what to do in case of an emergency, and a stop, drop, and roll demonstration. All party guests will receive a plastic firefighter party hat. on a real fire truck!